Hot Shoe refers to a clip like primary mechanical system on cameras to fit accessories like external flash units, rangefinder or spirit levels. Usually Hot Shoe is provided in mid range Compact Digital Camera and all DSLR camera. Originally Hot Shoe equipped on Film SLR cameras had no electrical or electronic features and known as cold shoe. Today a standard hot shoe flash has flash sync feature, which is flash synced with the release of the shutter. This simple technical function of hot shoe works with the X-sync which is standardized in ISO. Many manufacturers, now has introduced more contact points in the hot shoe base plate, used to control special functions or enhanced communication between the camera and flash like TTL flash, AF assist lamp etc. On these cameras usually also the connection of flash units without special functions is also possible. 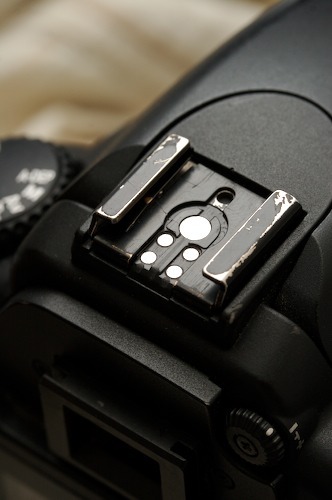 It is also important to note that the hot shoe from different vendors of camera in exceptional cases are compatible with each other and only the flash is fired but more extensive, camera’s automatic functions are not available in this case due to vendor locking of Hot Shoe connector plates. Hot Shoe can also used to attach accessories such as viewfinder, spirit levels etc. There are also some proprietary recording system for flash devices that have a purely mechanical are not compatible with the standard model’s hot shoe. For camcorders the hot shoe, for example can be used for attaching external microphone a video light. It should be noted that there are several types of intelligent hot shoe, which with incompatible devices acts only as an mechanical clip. This Article Has Been Shared 5524 Times! Bridge Digital Camera has the properties of DSLR and compact Digital cameras combined in terms of finishing, quality and features. Details on Bridge Camera. Fill Flash in Digital Photography is quite old method still used to brighten the darkened area when a subject or human face is standing with sun at ~ 90 degree. Cite this article as: Abhishek Ghosh, "Hot Shoe : Mounting System of Digital Camera for External Flash," in The Customize Windows, July 7, 2012, April 24, 2019, https://thecustomizewindows.com/2012/07/hot-shoe-mounting-system-of-digital-camera-for-external-flash/.